All productivity starts with personal productivity. Every now and then, I get the question "what tools do you use to stay so productive?" (that's a humblebrag). To help with answering those questions, below is an overview of my current setup, and a hall of fame of luminary tools. I will keep this overview to productivity-related tools only. While it may be interesting to know that I use a Plantronics BackBeat FIT headset while running, or I use both Netflix and Spotify, I try to keep these leisure-tools out of the list. Disclaimer Being productive has nothing to do with tools. For great advice with getting--and staying--productive, visit Asian Efficiency. The core team: tools I use every day, and can't do without..
What is it? The final answer to all things planning. It's a clean implementation of Getting Things Done, with all the power tools to shoot yourself in the foot. What do I use it for? Task capture and management. The only tool I use for managing tasks. Cost From $40 for a single platform, up to $140 (single buy) for all platforms with Pro versions. I have the latter. OmniFocus is the Space Shuttle of Getting Things Done systems: it has tremendous power, has great finesse, and is daunting to start out with. Still, it is the core of my daily productivity. From starting the day with a Daily Review, to capturing todo's during the day, to planning out my own work, and keeping track of others', this tool does it all for me. Without it, I would have no idea what to do with my day. That said, I understand it's a fearsome beast when you just get to know it. I would recommend sticking with something a little friendlier like Things, and, if you really want to get in to OmniFocus, head over to Asian Efficiency for the basic series or the premium posts on OmniFocus. What is it? An all-storing, all-syncing service for storing all your assets. What do I use it for? Everything I don't want to lose, and is either already digital, or can be digitized. Journaling and note-taking. Cost Ranging from free-to-use to over $100 per year. I have the $39.99/y Premium package. funny pictures that I want to use in a post someday. Yes, that's almost everything. I love the premium features like full-text search in PDFs, and text recognition in images. An important component for Evernote to work for me is a good process around filing. I have an "inbox" notebook that receives all incoming notes: from my scanner, when email to Evernote, when I like Instapaper articles, etc. I clean this out every day. Sharing. Yes, sharing features are available, but all of them don't quite do what you intend. Storing files-that-are-actually-packages, such as certain Mac documents. These will be zipped, and can then not be edited in place. I prefer to keep these in Dropbox. Tools that augment the Core team, but are not indispensable in their own right. I would be mildly upset if these get taken away. Developers create very beautiful and functional applications for MacOS, an these tend to be rather expensive. While I don't have a problem with paying for tools at all (most tools on this page are for-pay), it is always good to pay a little less. This is where SetApp comes in: dozens of these high-quality apps, for a convenient monthly price. At time of writing (2018-01-20), there are 106 apps for a total sale value of over $3000. On top of that, I've come to view an app being included in SetApp as a badge of quality: if they carry it, it must be good for what it says it does. For a long time, it seemed like a useless thing: hey, I can type over 200 words per minute, why would I need text expansion? Turns out there are quite a few situations in which it's useful for me. Easy expansion of personal data with no fear of mistyping: xph expands to my phone number, and xpem is my personal email address. Catch phrases; xready expands to Whenever you're ready! and xthanks expands to a standard thank you-greeting for signing off an email. Date and time stamps; sdate is today's date, sydate is yesterday's, and sdlfr is last Friday, all in ISO8601 format (20150722). For the quesy, I have s-date that puts some dashes in (2015-07-22). Other often-used words; I have a few that expand to names of customers, hard-to-spell personal names, projects, and domain terms, so I don't mess up names or capitalization. Standard emails: asking for some default things from our system administrator, accompaniments for updates to the documents, and even a filled-in template for an email survey. So, those are quite a few use cases. I don't think it saves me hours per week, but I like how it makes me feel like a sorcerer. What do I use it for? Storing and later reading things I read online. Forwarding email newsletters that make up a "morning paper." Cost $2.99/m, though I got grandfathered in at $1 per month. Free since 2016-11-03. There are many read-it-later services, but Marco Arment's Instapaper was, I believe, the first main-stream one. It does what it should do: there's a bookmarklet and integration with several applications (news readers, etc) to get reading material in, Instapaper parses it and leaves only the main text, and you read it in either the app (iPhone, iPad) or, in my case, on Kindle. Over the years, Instapaper has picked up several snazzy features, such as text-to-speech. 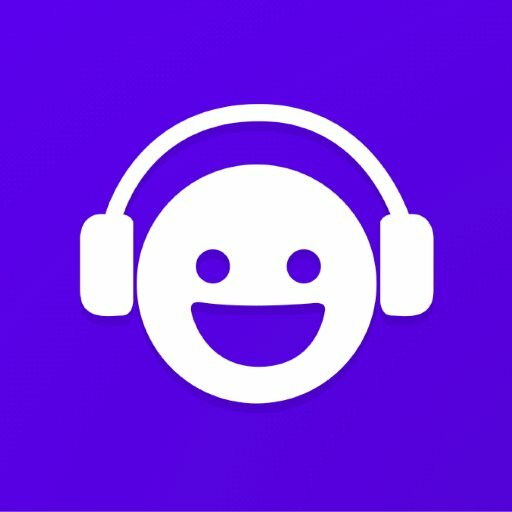 Another one of Marco Arment's creations, and it shows: a rock solid podcast app, with a few cool features you actually care about: voice boost, smart speed (which skips silence), very clean speedup. What do I listen too? Here's my OPML. What do I use it for? Keeping files safe that I don't want to only live on my MacBook. Syncing application files between systems. Working together on files with people without using Git. Cost Free, up to $9.99/m. I pay for the storage. What is says on the tin: stores your files, keeps them safe, syncs them. What do I use it for? Never forgetting a password, and always using generated-and-therefore-huge-and-impossible-to-remember passwords. There are various password managers on the market, but I have most trust in this one. It has all the integrations you need, stores not only my passwords but also e.g. SSH keys and credit card information, and works great with iOS. Oh, if you're not using a password manager: you should. Sometimes flow just doesn't come on its own, and it needs some help. Brain.fm fills this gap: programmatically generated music with any distractions, which create a nice drone of productivity. What do I use it for? Keeping up with news. An RSS reader saves an awful lot of time in keeping up with the news: no need to visit loads of different sites, and you don't see the same story twice. Since Google Reader's shuttering, I had used Feedly as a backend for Reeder. However, Feedly's $60/m doesn't make sense since I don't use the premium features at all, and FeedHQ does the same thing for a fraction of the price. To get an idea of all the stuff I'm reading, here is my OPML. I don't like the Feedly iOS application, and Reeder is the most tolerable RSS reader around. I don't like it, but it does the job. In my job I have a lot of driving time (like, 50h per month), and I like to spend that time in a productive manner. Podcasts keep me current, and audio books fill in the gaps in my working knowledge of, well, just about anything. On the non-fiction side, I like reading biographies, (current) history, anything by Walter Isaacson, popular science, business books, and basically anything that grabs my interest. As for fiction, it's mainly (contemporary) science fiction, and classics. I usually have one fiction book, and one non-fiction book in progress, to suit my mood. For a long time, I didn't take mind mapping seriously: I can do all of this in my head, can't I? No, I can't. I use MindNode to structure my own thoughts, can move them around using keyboard shortcuts, and see the structure of a problem take shape on my 34" monitor. After trying a number of tools, MindNode strikes the right balance between good-looking, affordable, simple enough so it doesn't get in the way, and powerful enough to work with large blocks of ideas. Oh, one thing: I like to set the file type to "single file" (File -> Advanced -> Change file type). This allows me to save the documents to Evernote, and edit them in place. On Apple Watch, this is the way to take quick notes: hit the microphone icon on the home screen, wait for the buzz, and start yapping away. You'll find the results of your monologue in a shared iCloud folder later. Very convenient for quick note taking while driving, or otherwise on the go. I also use it for longer notes: one- or two minute brain dumps of a meeting I've had, with everything I have promised to do. When using an Apple Watch, this is the ideal tool. I don't wear my Watch anymore, but even on iPhone--where it does require a few additional taps--it's just convenient enough to stay on the team. Tools that are on probation, and might make it to the support team some time. Not a staple of my day, but a nice way to spend a few minutes in silence. My previous go-to meditation app, Calm, had lost its appeal with same-structured meditations and affirmations that just don't suit my style. Tools that are absolutely non-essential, but worth mentioning. If This Then That fills a few voids in my life I didn't know I had, until I found the friction it took away, like moving liked tweets into Evernote, and archiving my own tweets. Nothing world-shattering, but convenient. Tools that have fallen out of grace, or have been superseded, ordered by date of removal from the team. Like IFTTT, another tool that filled a void I didn't know existed. I mean, how hard can it be to open up OmniFocus and create a new item? Apparently, removing just a little bit of friction from this process makes your life a whole lot easier. However, a combination of the force-touch option to quickly create inbox items in OmniFocus, and Just Press Record have made this obsolete. What do I use it for? Keeping up with news. Following automated Google searches. Cost Free, with premium features for $5/m. I pay for the service, but don't use the premium features. Feedly was the best service that sprung up with Google Reader's impending demise. I mainly used this as a backend for Reeder, and rarely visited the site; hence, a cheaper option worked just as well for me. What is it? Scientifically proven work-focus music without distractions like vocals. What did I use it for? Shutting myself off from the world when working, preferably using noise canceling headphones. While I loved the idea of just having a go-to place to have some music that helps me shutter the world, the service hasn't improved in the last years. The collection was getting kind of repetitive, and I found myself going towards some more specific Spotify playlists. When moving from DayOne to Evernote for journaling, I wanted to get tasks I noted down during the day to move automatically to OmniFocus; TaskClone filled this need. My routine has since changed: I create journal entries in my inbox, and only file them in Journal when all processing (formatting, tasks, etc) has been done. I had the intention of tracking the way I spent my time during the week, so I could try and optimize it. Turns out that keeping tracking of time takes a lot of time, and doesn't really tell me much. It didn't work for me, and I gave up. What is it? A very nice looking, stand-alone note taking app with Markdown support for Mac and iOS. What did I use it for? Journaling, and note taking. I have used big, paper books for years to record the day's happenings: meeting notes, what I spent my time on, the like. However, books have a few drawbacks: they can't be searched, you cannot create links, you cannot attach documents, and there's only one (heavy) copy of it. Why bother, it seems? there was no way to attach more than one image, or arbitrary documents to a note. What is it? A clean implementation of Getting Things done, available for Mac and iOS. After reading Getting Things Done in 2007, it took me quite a while to settle on a setup. I've tried paper for a little while, but quickly moved to a number of digital tools. I tried working with tags in GMail using GTDGmail, and spent quite some time with a mac-only tool known as iGTD. After its creator got hired by CulturedCode, I received a coupon code for Things. I have used Things happily for several years. The move to OmniFocus came after I had a good understanding of how GTD can help me, and wanted to automate more, have more control over larger task collections, and, most importantly, the lack of a good cloud syncing solution. With cloud sync in place for Things (one of the best in the business, actually), I still recommend Things to anyone just starting out with GTD!